SUP: Behind the brand with John Hibbard – Red Paddle Co. I started surfing around eight years old but it wasn’t until I began windsurfing at 14 that I got fully immersed. During winter 2006/7, when I was in Cape Town, I first saw stand up paddling. 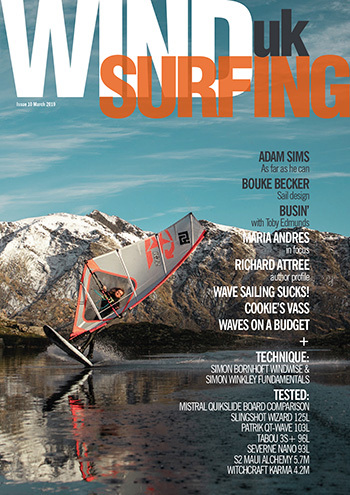 I was a professional windsurfer and I used to spend my winters out there training. A friend of mine sent me a picture of a SUP board. I thought it looked like the biggest waste of time ever! It wasn’t until I returned home that I got a chance to try it out. It was an immediate love affair. I was so focused on performance windsurfing, I had spent years perfecting, that I realised I was missing the simple pleasure of being out on the water. SUP allowed me to enjoy time afloat with friends and not be concerned about nailing the latest move. Very soon after returning home from Cape Town I got a board and drove straight to the beach in Cornwall. I was sponsored by Fat Face at the time and had sold them on the idea of this new sport. I was due down at Watergate Bay to do a photo session. I spent one day getting to grips with SUP before doing a sunset photo shoot in perfect 2ft surf. It was amazing. I was literally making it up as I went along but it was great fun and I was totally hooked. I have so many great memories of SUP. The early days were so much fun. No one was doing it and there was minimal info available on technique and style so I just used a mix of my windsurfing and surfing skills to make it work. If you bumped into someone else with a stand up paddle board it was like meeting a long lost friend. I ran the first ever SUP competition in Europe called the September Sessions. We had 40 entrants for surf and race events. The weather was perfect and the vibe was brilliant. A friend and I then blagged entry into the Devizes to Westminster Kayak Race. We did it on SUPs. 126 miles in 24 hrs paddling across four days. We had some of the first carbon paddles with huge blades. It was exceptionally tiring but we didn’t know any different so just got on with it. It was a brilliant challenge. Paddling in some of the best locations in the world makes me incredibly lucky – Hawaii, Peru, Australia and Tahiti where I surfed my SUP at Teahupo’o (one of the world’s heaviest waves – ed). A crazy experience. I competed in the second Battle of the Paddle event which was also pretty special. But it doesn’t have to be big waves and full on racing to enjoy the sport. Anyone who gets on a board and paddles is doing it right. I’m not a big hero worshipper so really I just respect anyone who gives things a go. I am really into riding my Enduro motorbike. It’s a great release from working as you have to be 100% focussed on not crashing and getting through sections. I’m such a competitive person that I throw everything at it when I’m racing, which is not always the right thing to do. I woke up in hospital the other week and have no memory of the previous five hours! People often ask me where the idea for Red Paddle came from. I was surfing in Cornwall one day and a guy told me about this board he had rolled up in the back of his car. He pumped it up, which took ages, and showed it to me. It was good but I could immediately see ways to improve it. I set out sourcing material and thinking about tweaks. It kind of went from there. The obvious things that were applicable then are still relevant with today’s Red Paddle Co inflatables – ease of use, ease of storage and durability. We were fully into inflatable technology from day one so we just got on with it and pushed through any negativity or reservations. It did take a while to get shops tuned in to the concept but I just saw that as part of the process. I’m the MD at Red so I help all the various departments (design, sales, marketing and production) achieve their targets and visions. I was personally involved in setting up almost all of our distributors around the world so I spend a lot of time talking to these guys, helping, advising and listening. We currently have distributors in 60 countries around the world which makes us the most widely distributed SUP brand in the world. By the end of 2017 we aim to be the number one brand regardless of construction. Good old fashioned hard work is what it takes. Long, long hours and lots of trial and error has got us to this point. We are so passionate about SUP and the concept of getting everyone on the water. I also believe our focus on inflatable has meant we can make the best without compromising. When I first started I was sure the future lay in surf SUPs and racing. After a couple of years I realised that it was the general pursuit of paddling that was most important. For me that was a major turning point and it opened the sport up to many more people and a lot more venues. 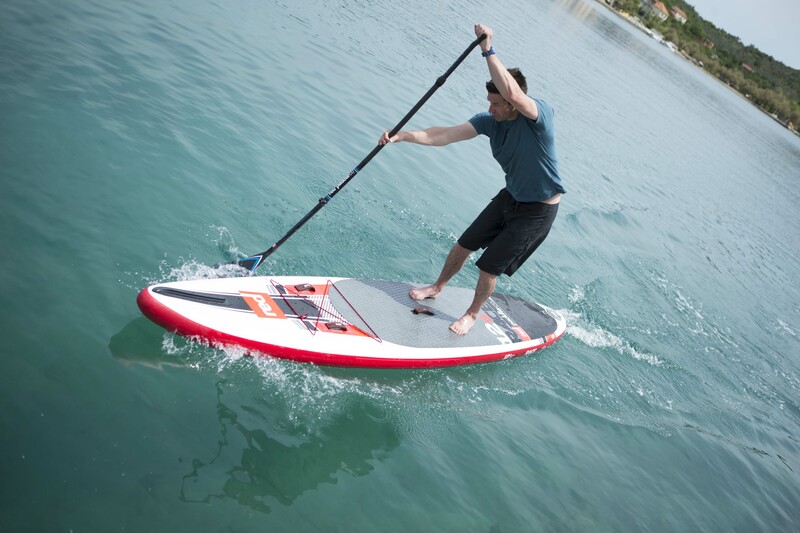 With more mass market appeal of SUP these days inflatable technology is just the best solution for most people. At Red we have done a lot of work making our boards feel as authentic as hard SUPs. Most inflatables suffer from the issue of excessive flex and durability can be an issue. With our innovations we have removed all of these negatives and this makes them an obvious choice for most people. 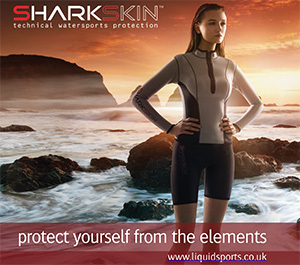 There’s a lot of choice for stand up paddle boarding kit. It’s fairly easy to set up a brand these days but another thing to deliver a great product and service. Some kit out there is really good, that’s for sure, but the consumer needs to do their research and avoid awful generic Chinese product. I’m trying just to not lose sight of what makes SUP fun – practicality, ease of use and variety of paddling. It’s easy to get fixated on doing just one element of a sport and miss all the other good bits. 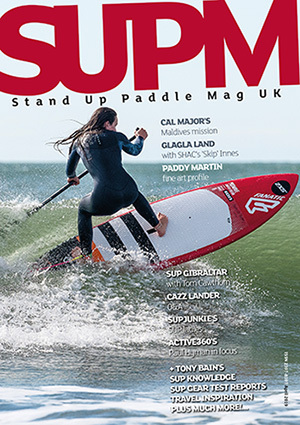 SUP’s here to stay and I really look forward to an exciting future of business and fun on the water. Red Paddle Co started as an idea and one laptop. It has turned into a global business thanks to our team of distributors around the world and a focussed, energetic team at our HQ. So a big thanks to all of those guys for sharing in the vision and putting in so much hard work. Also a massive thanks to all our customers. They share some amazing pictures with us and it’s just fantastic to see the boards in use all over the world.